Once at the hangar of course we couldn't wait to get the wings on, so 20 minutes later here it is. I spun the engine with the starter (ignition off and the bottom spark plugs out) to first develop oil pressure to lubricate the engine thoroughly. Then when the time came I spun it again with the ignition off to pressurize it, flipped the ignition on and it started on the third blade! That day that every builder thinks about constantly for the entire duration of the project, that day that is all that keeps us going sometimes, that day that we plan a million times in advance, finally happened for me. For those keeping track, total project time to date: Three years, six months. 5/3/01 - The morning dawned one of those spectacular clear spring Northwest days. Everything was ready, even the support crew. Just a small group of the folks on hand who helped me get here... my wife and daughter, my two builder buddies Randy Griffin and Jeff Jasinsky, and my flight safety officer and virtual co-pilot Bruce Beauchamp. Both pilot and ground crew review the mission. First flight run-up, making sure everything is perfect. 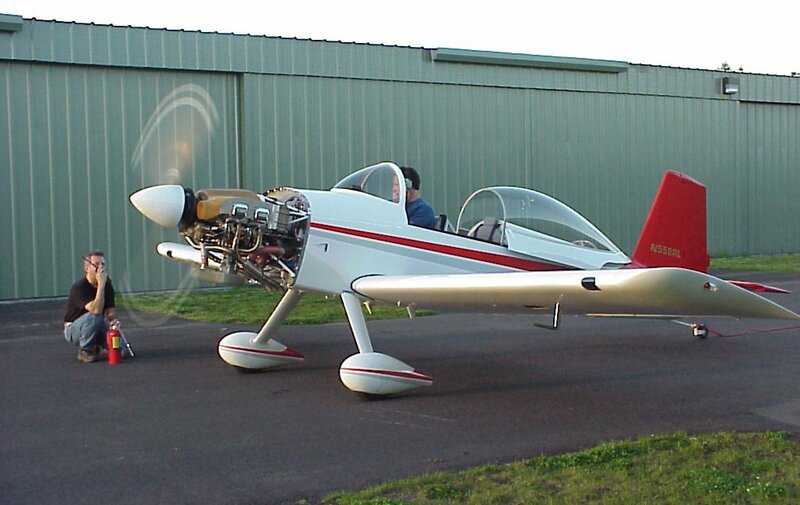 Pause to re-check things, then let the Lycoming loose! At 3,000 feet and 130 mph IAS with the Cessna 172 airspeed calibration and camera ship owned and piloted by my buddy Bruce. Touchdown. Check the little puffs of smoke on the mainwheels. Taxiing in after the first landing, obviously a happy camper. During 2001 an issue arose on the various RV-related Internet mailing lists on a phenomena specific to the RV-8. As one who experienced these symptoms I did some investigation on the issue and ended up writing two articles about it. The first article appeared in the RVator - Fourth Issue 2001 and can be read here, the follow-up story appears below. As of this writing my RV-8 has been flying for just over a year now. The airplane was moved to the hangar in a fairly complete state including gear leg fairings, wheel pants, and lower intersection fairings. I could not however make the upper intersection fairings (cuffs) until I re-installed the wings on the plane at the hangar. 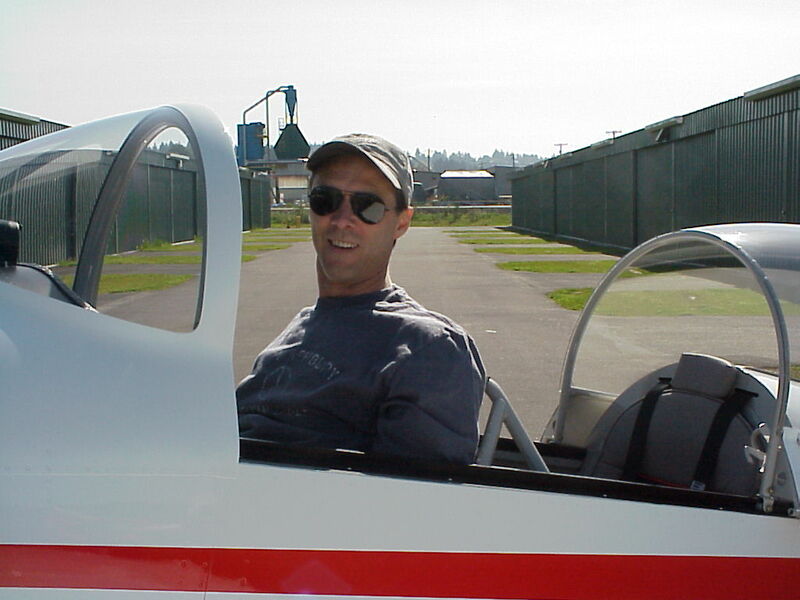 Of course once at the hangar with the wings on it was time to fly, and once flying I was far too preoccupied testing and enjoying the plane to take time out for something as mundane as making upper intersection fairings. Besides, it flew just fine without them. So I ended up flying the entire first not getting around to building them. During my first year I was even fortunate enough to be in the right place at the right time for some Ed Hicks photos and land on the back cover of the 2002 Van’s Calendar. Wow, what an honor! But every time I look at that picture all I see is that ugly gap where my upper intersection fairings should go, the horror! As I approached this year’s flying season, and my first Condition Inspection, I forced myself to dig out all the fiberglass stuff and do the nasty job of making those cuffs. Then I drug out all my paint stuff to paint them — boy, did that require some self discipline – I thought all that was behind me. As I completed my first Condition Inspection I also had the pleasure of finally installing the cuffs; it sure felt good to finally cross that item off my to-do list. When doing my initial flight tests last year, investigating stalls in particular, I recorded my stall speeds and also discovered that the HS exhibited a distinct “shake” just ahead of the actual stall. 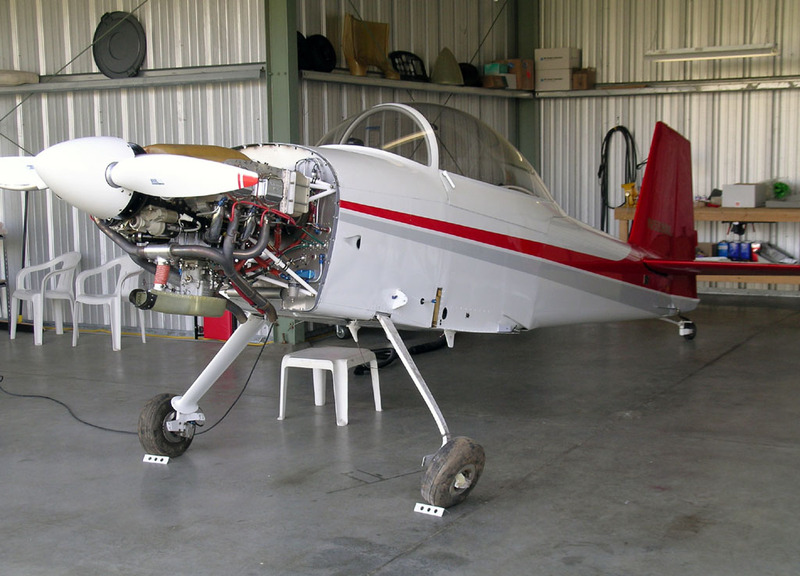 I began investigating further and comparing notes with other RV-8 builders and learned that others were experiencing the same thing, though to varying degrees. 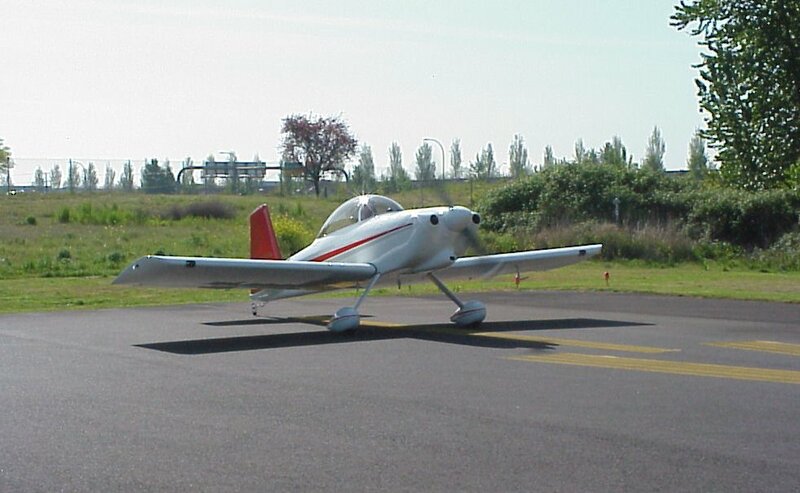 Van’s, not having a flying RV-8 at the time, was unaware of the characteristic. 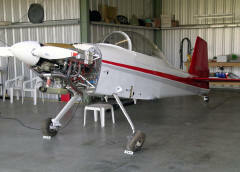 I took advantage of my close proximity to Van’s and arranged a day to go flying with Ken Krueger, Van’s head engineer. 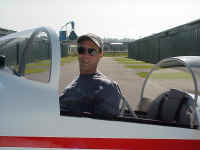 I took Ken up in my plane first for a demonstration, then flew alongside him in Dilbert, their then new RV-8 testbed ship, to compare stall speeds and characteristics. The next issue of the RVator (4th issue, 2001) then featured both an article by Van on the topic, and my own contribution on the builder’s perspective and experience. As far as I was concerned that was the end of the story: the RV-8 exhibits a modest tail buffet just pre-stall, both with flaps and without, in both level and accelerated stalls. It is a benign characteristic that could be construed as a safety factory by providing the pilot with a definite reminder of impending stall. Then I installed my cuffs. When spending that afternoon with Ken Krueger we discussed Dilbert and how many of the Van’s staffers who had flown it had indeed noticed a “slight buffet”. As they hypothesized the causes they naturally began experimenting with various cuff designs. They told me that they couldn’t tell much difference with or without the cuffs, and that the design of the cuffs didn’t seem to make much difference either. That’s why I simply installed my cuffs and went flying, not expecting anything to change. Wrong. After my Condition Inspection I went off flying as usual and after about three or four flights realized, “gee, I’m flying my approaches at the same speed as last year yet I consistently seem to be floating more after flaring”. There just seemed to be more lift there than I remembered. Then it occurred to me that I should re-check the stall speeds with the cuffs installed. I just happened to do my first stall tests with the cuffs installed while solo and with light fuel. My stall speeds had always been a bit higher than Van’s book, which I attributed to either my plane being a bit heaver than their test ship, or some sort of pitot position error. As I watched the airspeed drop for my first stall I expected the buffet to begin at around 68 mph (clean) as it had before. I sat there, more or less just going through the motions, and the airspeed indicator passed right through 68 with no nibble, no buffet, no stall. What’s going on here? I kept pulling and slowing… 66, 64, 62, yikes, what’s happening? Finally at 58 mph the nose dropped a bit after the mildest HS shake I had felt yet. No longer just going through the motions I repeated this test a couple of times, then dropped the flaps and tested that configuration also. I was stunned to learn that my stall speeds had dropped considerably – well, actually I was pleasantly surprised. Having discussed this last year with Ken Krueger I thought he would be interested in my findings. I called him with the news and he suggested one other test: add approach power with flaps to simulate a typical landing scenario and try it again. Good point since those of us flying with constant speed props typically fly our approaches with a small bit of power (to avoid coming down at 900 fpm). I did repeat the tests (only in the dual/heavy configuration) and surprisingly the approach power made no difference in the stall speeds. Stall speeds were reduced in all configurations with cuffs installed. Pre-stall HS shake WITHOUT cuffs was pronounced in all configurations, occurring 2 mph above actual stall. Pre-stall HS shake WITH cuffs was significantly reduced, barely perceptible while solo. Adding the cuffs lowered the solo stall speeds significantly, effecting the solo w/flaps configuration the most. Adding the cuffs reduced the severity of the tail shake in all configurations, but most dramatically the solo configurations. 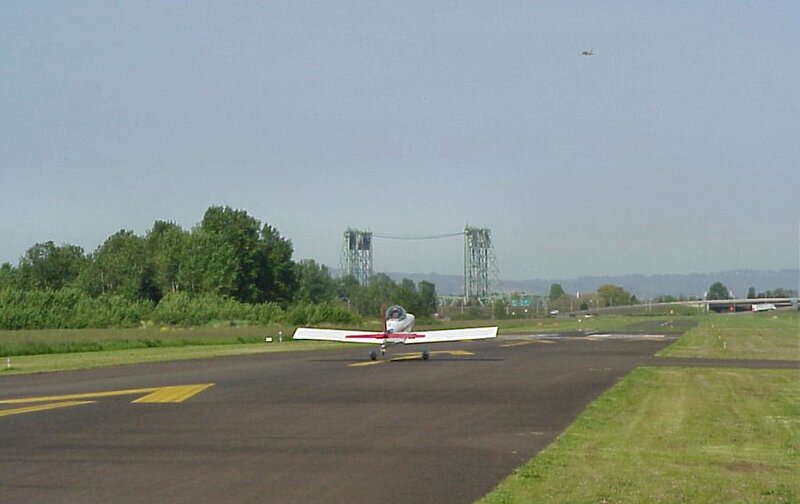 Landing with the cuffs installed, especially solo/light, calls for a slower approach speed. 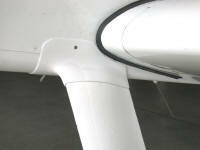 Adding “approach power” with a c/s prop did not change stall speeds. I need to begin managing approach speeds a bit closer adjusting whether in solo or dual configuration. I shouldn’t have waited so long to get my intersection fairings made! In summary, I have now locked in this data as final for inclusion in my POH and quite pleased to know that my stall speeds fall right into line with Van’s numbers. Hopefully this information will help other RV-8 builder’s understand their stall characteristics further, and motivate them to complete their cuffs earlier than I did. In the interest of helping other builders I am making several of the documents I've developed for my plane available for download. DISCLAIMER: these documents were developed for, and are solely intended for, N558RL, and are not suitable for any other aircraft. They are provided for informational purposes only, not for use on any other aircraft. To download a copy, right click on the link and select "Save target as..."
Cockpit flight log (Word 97 file) - I use this in the cockpit to record every flight. Every couple of weeks I take it home and transfer the information to my pilot's logbook. It is also useful for tracking oil consumption: log the hobbs time when you add a quart and then compute the hrs/qt and write it in between. This form folds in half and then is stored in a page protector in a cockpit bin with my charts etc. Cockpit checklist (Word 97 file) - I started with a cockpit checklist from fellow Home Winger Dan Benua's RV-6A and adapted it for my plane, I really liked the clean easy to read layout. As with the flight log, this is a half size (half of an 8.5'x11") document that I print in color. I then laminate it to form a doublesided checklist. Note that all Departure checklists are on one side and all Arrival, including Emergency, checks are on the other... very handy. I clip it to my kneeboard during start and then stow it once ready for takeoff. Checklists should also be duplicated in your POH, and I coordinate this document with the checklists section of my POH. Cockpit Power Chart (Word file) - Many builders adapt the standard Lycoming power chart for use in their cockpit to use in determining power settings. The only problem with that is that it doesn't work with RV aircraft, at least those with the FAB (filtered air box). The Van's FAB is very efficient, it not only doesn't have as much loss as a normal airbox and filter, but it provides ram air pressure under certain conditions. In effect it's a bit like operating a lower pressure altitude and it therefore throws the Lycoming chart off. While discussing this over breakfast with Van and his brother Jerry we decided that because of this the "rule of 48" was a better method of estimating power in RVs. It says that you take your manifold pressure in inches and your rpm in hundreds, add them together and when they equal 48 you are at 75% power. Then for every 3 the sum drops or increases you lose/gain 10% power. I have no idea how accurate this is so if someone out there with % power equipment in their panel would care to compare their numbers with those in this chart I'd sure appreciate it. With so many RVs flying you will naturally end up traveling places with other RVs. You now face have a choice: you can do the usual unorganized gaggle, which carries with it some increased amount of risk, or you can get into more formal formation flying where all moves are planned and your group arrives in a disciplined and organized manner. There is much interest in learning the skills and disciplines among RV pilots, which is good. Four of us in the Home Wing are learning all we can and have been enjoying the fruits of our labor. The "Home Wing Squadron" consists of myself, Randall Henderson, Don Wentz, and Mike Wilson. 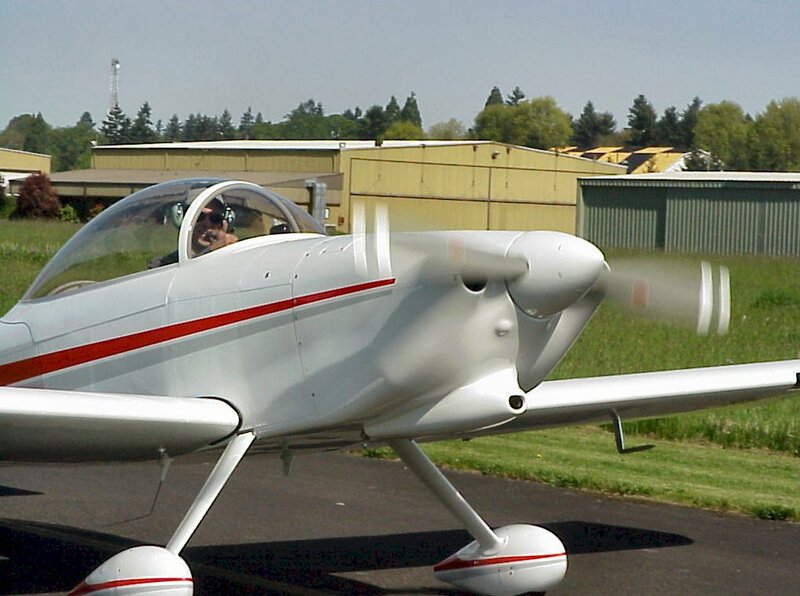 For the last couple of years we've done fly-bys and 360 overhead break arrivals at several local events including the annual Scappoose Airport Appreciation day, the Bellingham AirFest, and the Hood River Fly-in. It's a great feeling when you do it well. You can learn more about the training guides we've used at http://www.edt.com/homewing/ff.html, and here is a link to an article on AvWeb that provides a great overview. With the above said, it should also be said that formation flying should NEVER be attempted without proper instruction and coaching. Closing in on, and flying in close proximity to, another aircraft is inherently dangerous and requires that you understand the physics, which the instruction and coaching will teach you. 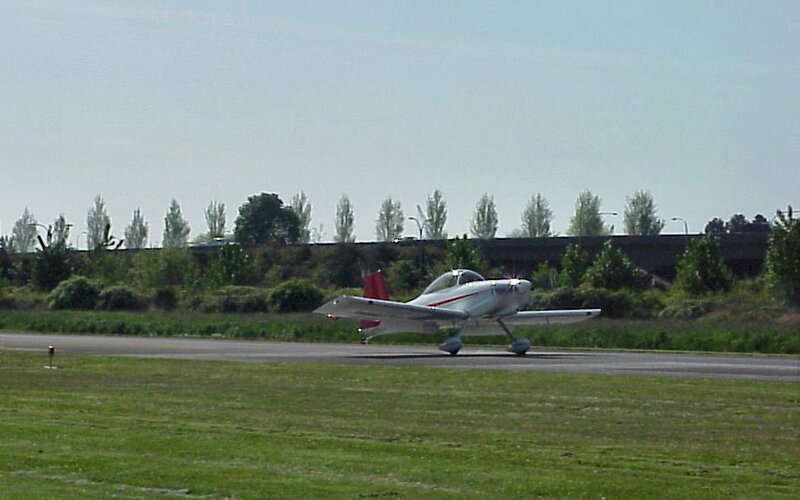 Having said that, almost any competent pilot can learn it if he/she is willing to devote the time and discipline to it. As with most aspects of flying, it can be dangerous or safe depending on how you approach it. It was January 31st, 2004, with local weather typical for this area: low clouds and off/on drizzle. 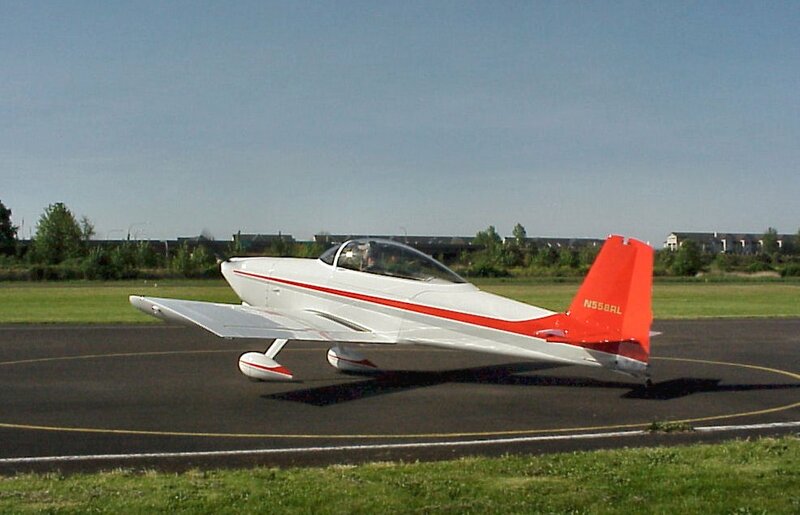 Normally I wouldn’t have been out flying, but I had decided to sell my RV-8 and had a buyer in town all the way from Florida with a check in his briefcase. Peter, who turned out to be a really good guy, and I had spent the morning flying around showing him the plane. 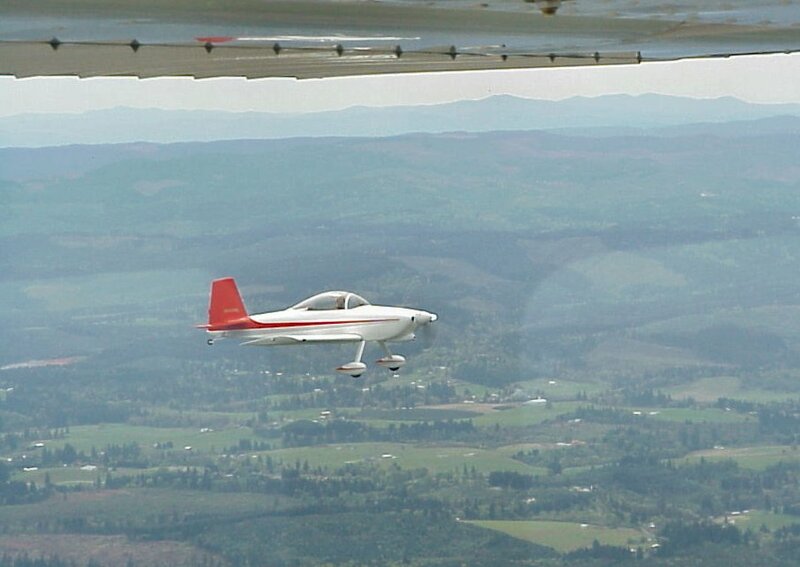 After stops at Lenhardt to talk with Scott McDaniels, Woodland for an early lunch, and Scappoose for a few circuits in the pattern with him on the stick as much as possible, we headed back to Pearson to consummate the transaction. He loved the plane and had decided to buy it. I monitored the ASOS for Pearson as we proceeded inbound which indicated 10 knots of wind at 170. A quick bit of mental math told me that 170 was exactly 90 degrees to the runway. Upon rolling out on final for runway 8 I could tell the wind was stronger than that and was gusting. Ok, mental checklist for crosswind landing: “right wingtip down into the wind, carry a bit of extra airspeed to compensate for possible windshear, be ready on the stick and rudder for gusts from the right, and be prepared to go around if it gets too squirrelly”. I made the approach at 85 mph, +5 mph from my normal two-up speed to allow for gusts/shear and proceeded in. I was fighting the gusts all the way down and with the extra speed, and even though we were still on centerline, I just wasn't comfortable with the way it was settling, or not settling, down on the runway, so I gassed it and went around. On the next approach I went back down to 80 mph, my normal two-up speed, hoping to avoid the prolonged float, and thus the amount of time spent exposed to the side gusts, and made a solid approach. 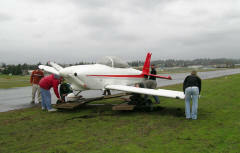 I held variable right stick and left rudder down through the flare and got it on the ground solidly and dead straight. “Yea, that’s the way to do it” I said to myself. Still holding full right stick and a bit of left rudder as we rolled out straight down the runway, I thought I had it nailed. Then, as I was thinking about which taxiway to exit on, and at approximately 30 mph groundspeed (later corroborated by my backseater, a 2,000 hour jet-rated pilot and sailboat racer) a gust hit from the right and the tail started moving left. I kept increasing left rudder to no avail. 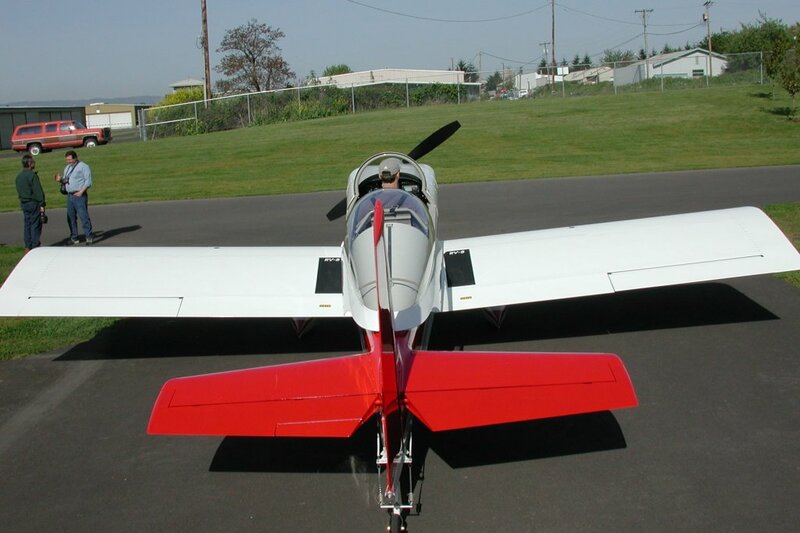 The gust was so strong, acting on that large RV-8 tail, that it skidded the tailwheel sideways on the wet pavement in spite of my rudder input. We had so little forward speed that the air from the side simply overwhelmed any rudder input and weathervaned the plane around to the right. All of a sudden we were sliding sideways. By the time I thought about jabbing the throttle for some additional rudder authority we were almost 90 degrees and sliding sideways. I was thinking to myself "sh**, this will damage my wheelpants and I'm gonna have to replace 'em before I can sell it". Then the left (lead) wheel shuddered, hopped, and the edge of the rim dug into the pavement. This pogoed the plane up a bit as it passed under us and the left side of the plane collapsed down on the rear corner of the left wing just as we moved off the pavement onto the grass. As I watched the wing go down I could see the top skin wrinkle and thought "ok, that wing won't be flying any more". It was a strange experience, not tense or scary in any way. I was aware of exactly what was happening every nanosecond and could feel everything. Still, I just couldn't believe it. It was so slow and benign feeling that I couldn't believe the gear collapsed. We were jostled around less than what you would feel in light turbulence while flying. After sliding to a stop I just started shutting the ship down normally in checklist sequence. There was no tension or urgency at all. I smelled no fuel but my backseater said "hey, we better get outa here. I pulled the canopy back and let him exit while I finished my shut down and closed the fuel valve even though there was no fuel smell. I exited calmly, if even a bit more slowly than normal, and said to Peter "now EXACTLY what just happened?". Well, you know what happened, but I wanted his analysis of the situation to immediately learn what I had done wrong. He agreed that I had flown a beautiful approach, flare, and landing, but we simply got hit with a large gust at precisely the wrong time, during a “window of vulnerability” if you will. Could some combination of rudder, brake, and throttle have saved it if I was a better pilot? I truly don't know. Here are the FAA weather metars listed in the above referenced report... WEATHER: VUOA505 2153Z 17010G17KT 10SM -RA OVC030 7/3 A2993. I landed runway 08, so the "17010G17KT" confirmed the wind direction at exactly 90 degrees with the wind at 10 gusting to 17. Hmm, could a 17 knot gust do that? Felt like more than that to me and my pax both. The left wing had significant wrinkling in it while the plane was laying on it, presumably from dropping on the runway after the gear folded under. After we propped it up some of the wrinkling went away, but I knew there was no way it should be flown again. The wing tip and aileron were crunched, the left landing gear completely ripped off by the failure of the close tolerance mounting bolts in tension, quite a sight. Unbelievably, nothing FWF touched the ground. I’m sure my new Whirl Wind prop would have been a bunch of carbon fiber splinters otherwise. We managed to get the plane onto a crude trailer and back into my hangar without damaging it further and prop the left side up on wing jacks (glad I had those!). Believe me, getting it off the runway to someplace safe was far more stressful than the incident itself. Just as we're getting it into the hangar my cell phone starts ringing and I make the mistake of answering it... it's the FAA wanting to know what happened. Great. So I proceeded to give them all the info. They asked me to put all this in a statement and fax it to them, "Monday will be fine". At this point we had it back home and stabilized in the hangar and I just wanted to get away from the whole thing and think about it. The prospective buyer, Peter, and my wife and I went out to dinner than night but I just felt awful and wanted to crawl up in fetal position in the corner — two glasses of wine at dinner didn't help. Sunday wasn't much better but I forced myself to do the FAA statement anyway. Monday I spoke with both the insurance agent and adjuster. As the week unfolded and I began the process of dealing with everything I felt a bit better, but it still leaves a very sick feeling in the pit of your stomach. It was two weeks before I could kid about it. I did have full coverage insurance through the NationAir program with $80k hull coverage. My thinking at the time was that that was about my hard cost into the plane, not including any labor, and the premium increase to take it up to $100k was considerable. And of course “I’ll never get in a wreck anyway”. Yea right. The limit didn't matter in this case anyway because there's no way it was totaled. Overall, damage was confined to the left wing, the left gear leg, and some buckling in the left front fuselage area cause by all the stress to the gear leg box. Due to the way the gear leg attach bolts failed we were able to use hardware store bolts to simply bolt the original, albeit slightly bent, gear leg back on in order to handle and move the plane. As the events unfolded it worked out surprisingly well. Turns out that one of the guys interested in buying it initially was still interested in buying it as it was. Between the insurance company settlement and what I got from the sale I came out ok — not as good as I would have by selling it originally but under the circumstances I feel like one lucky guy. I must say that dealing with the insurance company was a very satisfactory experience. 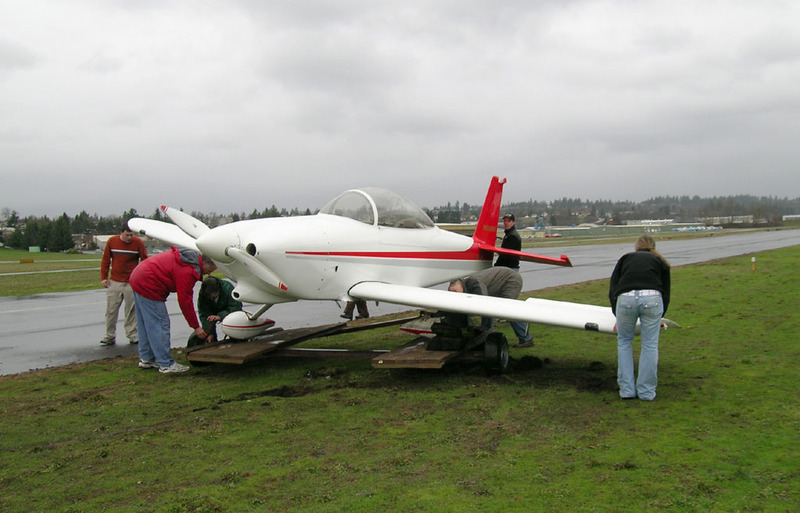 I was prepared when I met the adjuster with an itemized list of what I thought it would take to repair the plane, both parts and labor. He spent about an hour looking things over and reviewing my estimate. In the end he found it agreeable and I had a settlement form and a check a week later. I have no idea if the other aviation insurance companies handle things this way, but you can bet they will get my business again next time. So, let’s analyze this, what did I do wrong? After going over it in my mind at least a thousand times, I believe I have the answer. RV-8’s have a bit of a problem with the rudder pedal geometry. Due to the location of the pedal pivot you get a small bit of brake applied whenever you push the rudder pedal with your feet in the normal rudder pedal position. This is well known among -8 builders and the idea of an extension to the bottom of the pedal that allows the ball of your foot to apply pressure below the pivot and thus not activate the master cylinder was crafted by a creative builder. Of course I had installed these (can be seen here) and had been flying with them for probably 250 hours. Here’s my mistake: my mental crosswind landing checklist should have included “put your feet up on the rudder pedals so you can get at the brakes quicker”. Although I’ve managed to get my feet slid up into the braking position during runway weaves in the past, this incident happened so fast I just didn’t have time. My own take away from this experience is that there are two things I could have, or should have, done differently. 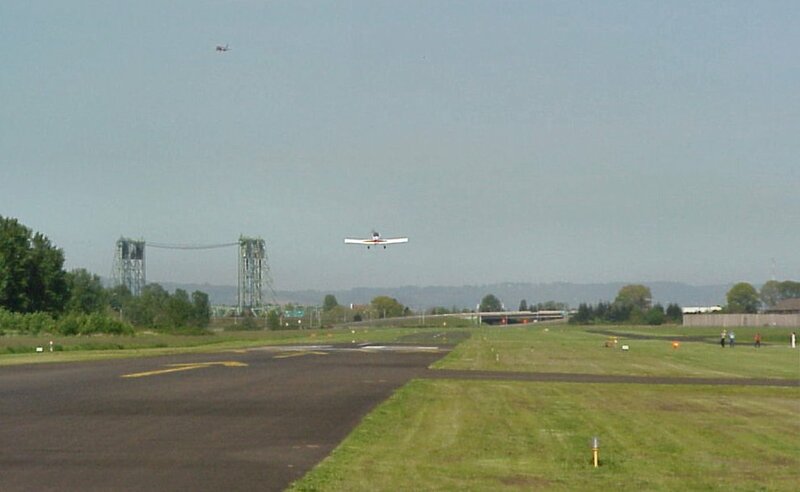 #1, choose another airport when there are strong direct crosswinds, and #2, make relocating your feet, or ensuring you have ready brake access, part of your crosswind landing preparation. Could I have saved it if I had had access to a stab of left brake and the right time? Maybe, but we will never know. But I most certainly would have avoided it by landing at another airport. Unfortunately that’s probably what I should have done. Guys, be careful out there! !